As a frequent traveller most of my hotel stays are either at posh starred properties or at nondescript inns/guest-houses on the highways. While the luxuries at fancy hotels are more or less the same everywhere, when it comes to guest houses or budget hotels, one never knows what to expect. There might be a leaking tap in the bathroom, or the linen would be coarse, or there would be some issue with internet connectivity, or the AC would only work intermittently. While these town/city hotels charge according to their whims and fancies (mostly) the service they offer is almost never in sync with the money they charge. Unpredictable is the word to describe these random hotels and the services they offer. 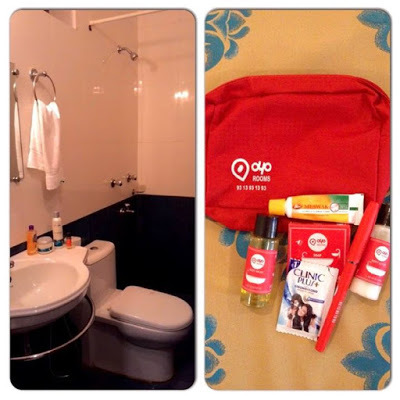 So when I got an opportunity to stay at a property of OYO Rooms – a ‘budget hotel network’ that promises value-for-money stay with the emphasis on efficiency and standardized amenities, I was not just curious, but also looked forward to the experience. This opportunity came by way of a campaign organised in association with Indiblogger, where four winners won an all-expense paid trip to Goa, along with the stay at the OYO Rooms property in Candolim. OYO (On Your Own) Rooms is a large network of budget hotels that promise a standardized hotel room experience across all its properties – by standardized it means same amenities across all its rooms. Founded in 2013, OYO Rooms is a fast growing brand with currently over 350 properties in 28 cities across the country. The amenities at OYO Rooms include a comfortable bed with quality linen, TV, air-conditioning, hot and cold water in bathrooms, Wi-Fi and complimentary breakfast. With room starting at Rs. 999 a night, OYO offers a budget hotel stay experience that is standard across all its properties. 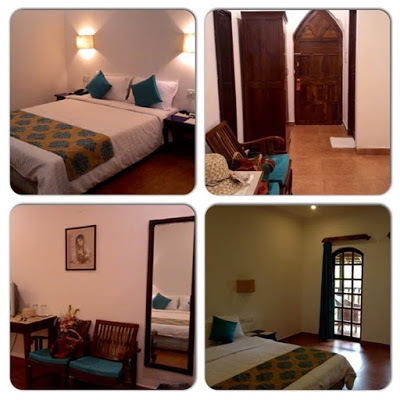 All the four Indiblogger-OYO campaign winners (fellow bloggers – Sujata Tawade, Manjulika Pramod, Sammya Brata Malik, and I) were booked into OYO Premium Candolim. Needless to say, the idea of staying at a ‘budget’ hotel that promised me all the basic facilities I would need, comforting. Cozy, air-conditioned room, free Wi-Fi, and complimentary breakfast – all this in Goa, and that too just 5 minutes away from the beach! And to top it all, the pocket-friendly rate of just Rs. 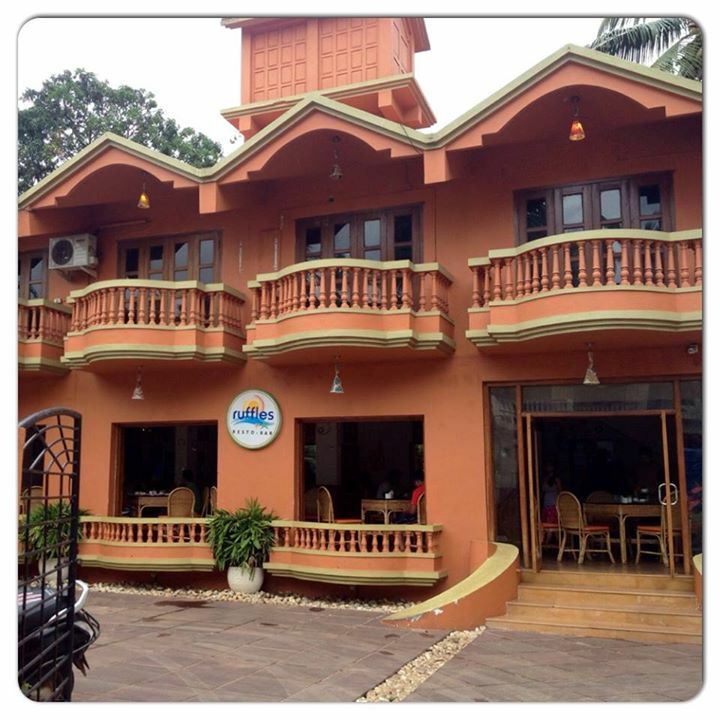 999 per night! Of course, I was going to be a sponsored guest, but the idea that one could comfortably stay in Goa for just Rs. 999 a day added to my happiness! OYO Premium Candolim, on Fort Aguada Road is a lovely property, located in a serene locality that is just 5 minutes away from the beach. We reached the hotel in the afternoon and post a refreshing welcome drink of Pina Coladas and a quick lunch of a variety of fried rices, headed to our respective rooms! While the first look of OYO Premium Candolim gave the impression of it being a calm, comfortable and standardized hotel, one look at my room had that first impression reaffirmed! The room was not just large and naturally ventilated but also had the basic necessities a guest would want to use – air-conditioning, TV, a mini fridge stocked with water and beer, a big cupboard with hangers and comfortable wooden chairs. The entire décor of the room was in sync with the design and look of the hotel. While I appreciated the comfortable feel of the room, what really surprised me was the toiletry kit kept in the washroom – it had all the bathroom essentials – a mini tube of toothpaste, a shampoo pouch, tiny bottles of body wash and moisturizer, and a small soap bar. It is common to find these things in plush hotels, but for a hotel claiming to give you decent budget stay without pinching your pocket, little add-ons such as these really go a long way in building rapport with the guests. Just as I was done appreciating the thoughtful additions to the ‘budget’ tag, I walked across the room to check out what was beyond the two beautiful glass doors, and lo and behold, this lovely sight welcomed me – a beautiful balcony decked up with cosy cane furniture overlooking a little swimming pool – a sight that soothed not just my eyes but also my frayed travel weary mind. It was relaxing to sit here and watch the monsoon clouds slowly roll over and engulf the Goa sky. The remaining day and the day after was spent not just exploring the popular architectural delights of Goa, but also exploring the hotel property. 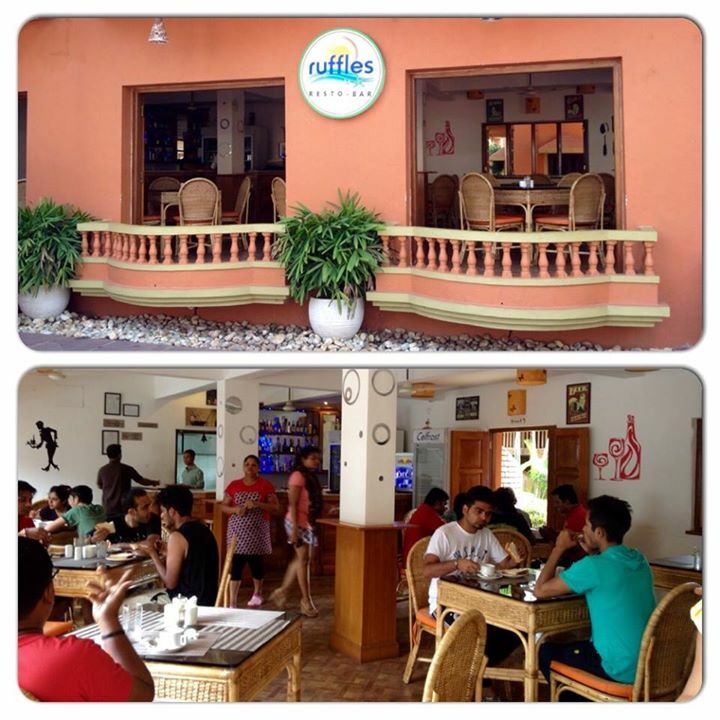 When we were around the hotel area, we made it a point to eat at the hotel’s in-house restaurant – Ruffles. Given the influx of tourists, the restaurant always seemed to buzz with people. Also if anyone’s driving to Fort Aguada, which is just a few kilometres from this hotel, then stopping at Ruffles for quick snacks perfect makes for a great break – another reason for the full house. 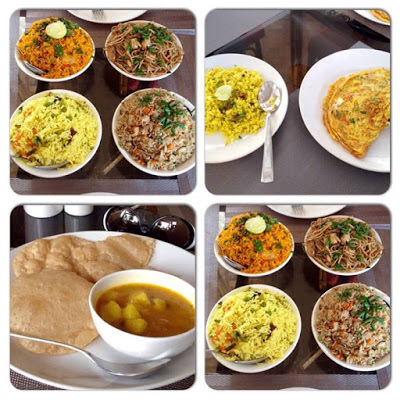 The breakfast at OYO properties comes complimentary with the stay, so for the two days we were at OYO Premium Candolim, our breakfast destination was a quiet corner of Ruffles, where we all sat eating breakfast together and planning the day ahead. While the complimentary breakfast menu was limited, there were enough options on the table to ensure that the guests go out with a full tummy. 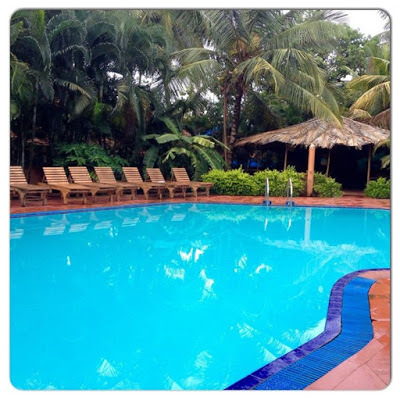 Most of our time in Goa was either spent sightseeing or hanging out at the beaches, but once back at the hotel, we made it a point to make generous use of the beautiful swimming pools! 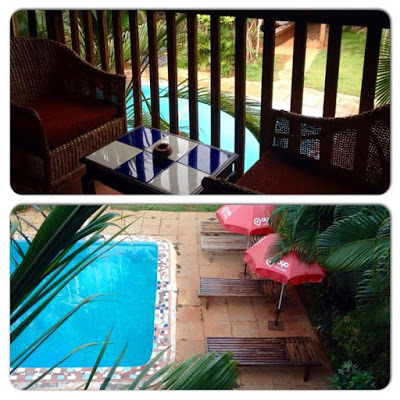 There are two pools on the property and the day we arrived at the hotel, one look at the pools made it apparent that they were the most sought after part of the property. Both the pools at OYO Premium Candolim are well maintained, with the pool staff keeping a watchful eye on people frolicking inside. We really had an awesome time here at the pool, and the hotel staff was accommodating enough to allow us to use the pool even past the official hours. The best way to explore Goa is to rent a bike and go cruising down its beautiful lanes and by-lanes – yes, hiring taxis in Goa is expensive and renting a bike is not just economical but also you get to explore this beach paradise at your own pace. OYO Premium Candolim had a decent collection of bikes to pick from, and though a dazzling pink Vespa really caught our fancy, we had little time in hand to actually take it out for a ride! However, we did make the best use of time in hand and not just explored Goa but also hung around at the popular beaches. Back at the hotel, we felt safe enough to take strolls around the property and take in the ambiance of Goan nightlife – with music from the bands filling the streets giving it a festive air. Rent these and go exploring! 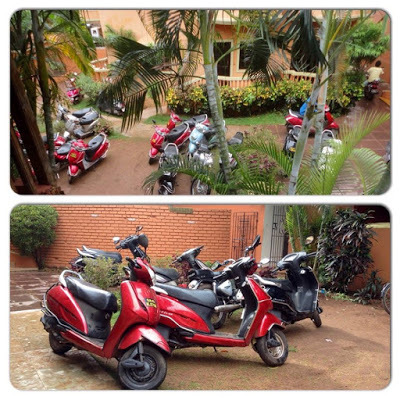 In all we had a comfortable stay at OYO Premium Candolim, and needless to say, our first sampling of the OYO fare was a pleasant one. While this stay was a sponsored one, I can safely say that I look forward to trying out the OYO experience in other cities too. I am sure being a frequent traveller, I am going to land up at one of the many OYO properties soon. To know more about OYO Rooms, you can check their website. Also, the brand is on Facebook and Twitter and is quite prompt in addressing the queries posted by followers. So if you are looking at staying a hotel that gives you standard service without pinching your pocket, you know you have OYO Rooms to rely on. Happy travels! Looks like an excellent option! Yes indeed, Indrani! I would love to check out their other properties during my travels. Looks like a good place. You have portrayed everything in so much detail. 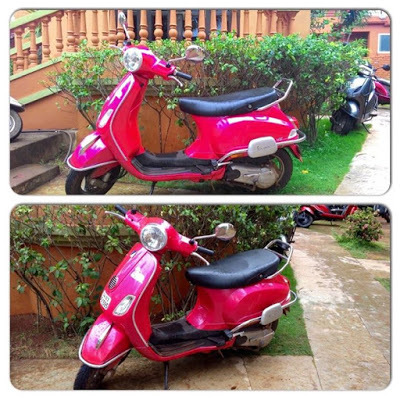 Thanks for that Ragini…certainly looks like a good option for budget travel. 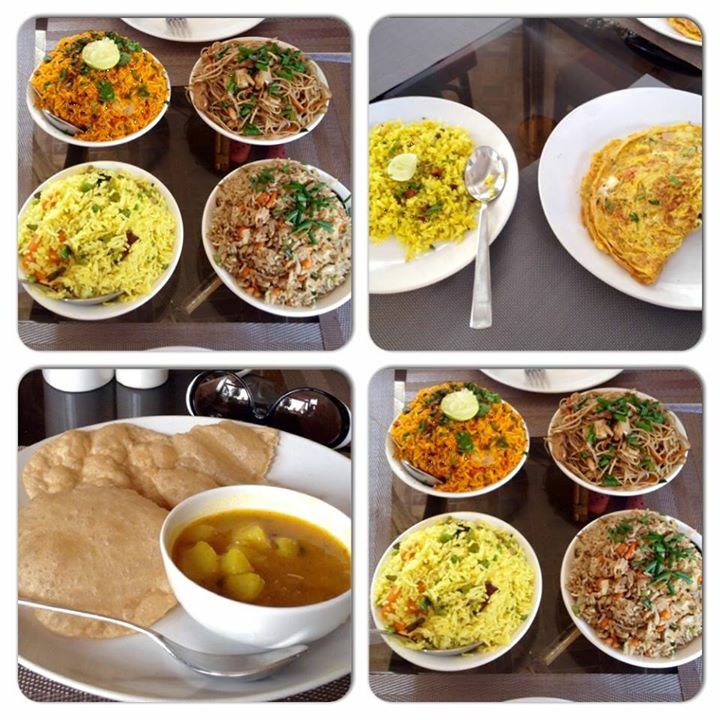 Thanks for stopping by Shrinidhi. Yes, so far I have heard only good reviews about OYO Rooms. Have been following OYO Rooms on various platforms and see that their management and support team is really working at making this brand more and more reliable. Yes Kalpanaa. 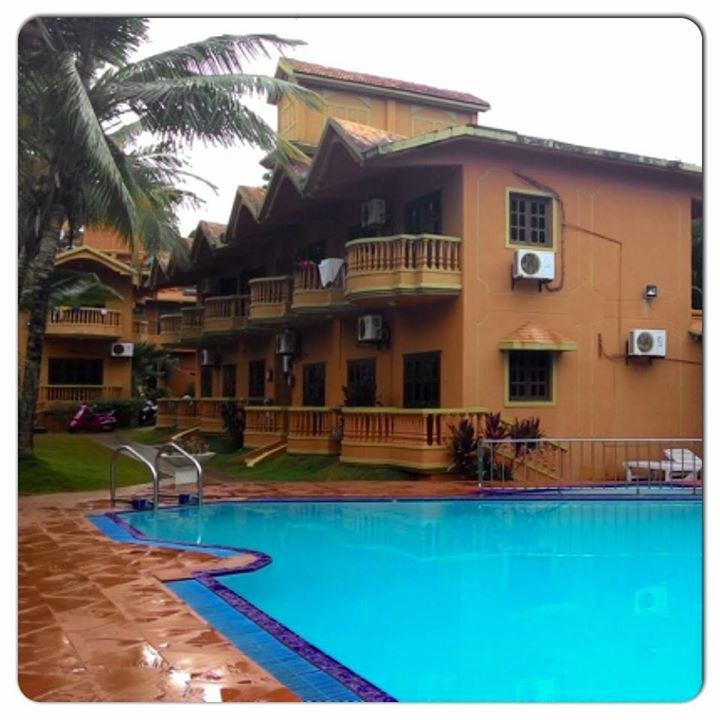 It is a lovely property and that too just 5 mins away from the Candolim beach. Yes Roshan, and they are expanding. Every day there are new OYO properties coming up in different cities. Yes Archana, the service at this beautiful hotel shattered the myths I had about budget hotels. Very detailed review! 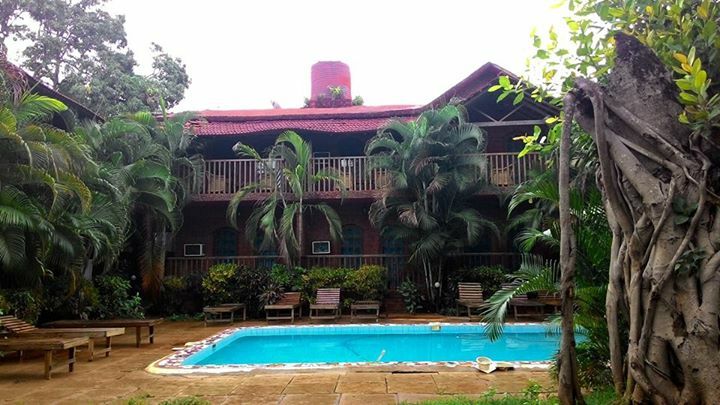 I keep travelling and this looks like a nice property to check out the next time I am in Goa! Thanks Sandeep. Do give this a shot. In fact they have other properties too in Goa, and are rapidly expanding across the country. Is it possible that these people tried their best to create a great impression on their sponsored guests’ minds by bending over backwards to please you 4 people? Had you tried to discuss with other OYO guests also? Actually, I have read lots and lots of negative reviews about OYO – people booking through OYO being ill treated by the property owners as if they were undesirable breed. I think the best way would be to check by myself before relying on a sponsored review which could offer only roses and all thorns are hidden from view. Thank you for your thoughts Sushant ji. Even I was of similar opinion post my OYO stay experience. Have come across several negative reviews about OYO, but personally, post this experience I have not yet had any occasion to stay at any OYO property, so cannot comment on the negative experience people have had. But like you said, it is always better to double check about a hotel property before booking.